Much like whether it's necessary to wash you face in the morning, whether it's necessary to use eye cream is one of those routines that is often debated. I know some people who are just fine without it but personally I've been using eye cream since my early 20's and I do feel like I've benefited from it from an anti-aging perspective. The skin around our eyes is the thinnest and most fragile, making it more susceptible to wrinkles, stress and irritation. Using a cream designed for the delicate eye area is recommended, as your skin gets less supple with age. 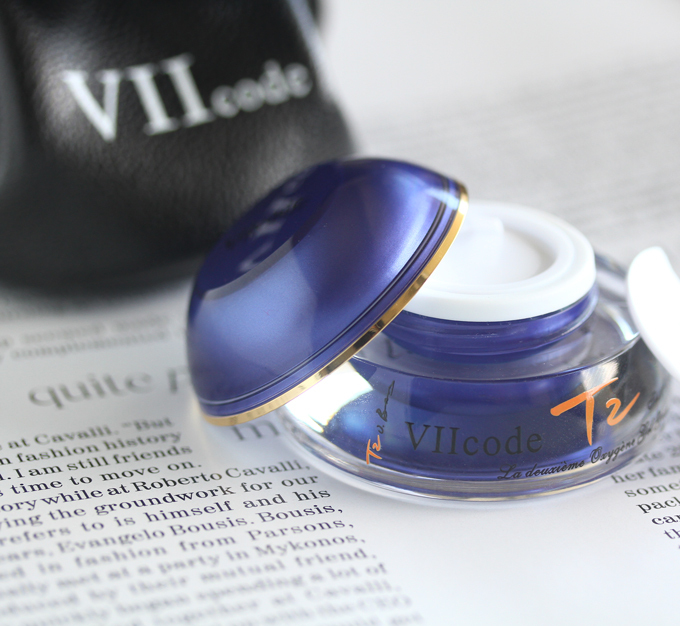 VIIcode recently sent me their T2 Oxygen Eye Cream which boasts a multitude of benefits to try out. Read on for my review. 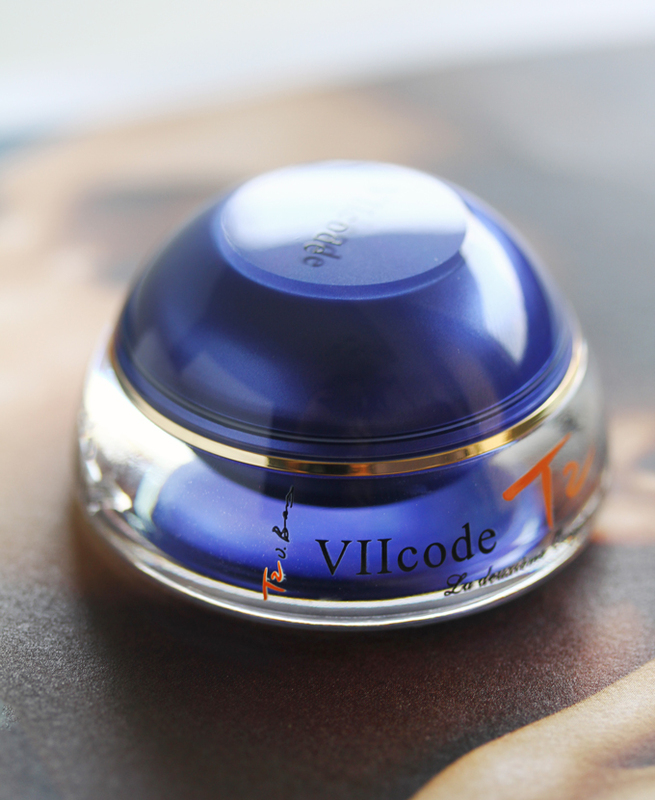 Established in the 18th century, VIIcode (pronounced "vee-two") is a high-end royal brand that was originally a gift of 'eternal youth'' created by Dr. Byrne Victor for Queen Josephine (the wife of Napoleon). The formula was ordered to be kept secret until her death. The brand later established the VII Identity Club, the first luxury club for customized skincare after moving to New York in 1945. Soon after that VII Beauty for basic skin care and VIIcode for luxury skin care were developed. T2 Oxygen Eye Cream is a multifunctional product which works to minimize the appearance of fine lines, wrinkles, dark circles, puffiness and crow's feet. It is formulated with a breakthrough 'T2' stone mortar extraction process which activates and facilitates the skin's own natural repair system as well as provide protection from environmental factors like pollution and stress. This cream is packed with proven ingredients essential to the function of the human body as well as natural plant extracts. These include evening primrose to boost blood circulation and smooth wrinkles. Antioxidant rich avocado and elderberry which work to maintain glowing, younger skin. Chamomilla recutita which hydrates and restores suppleness. T2 Oxygen Eye Cream is suitable for all skin types including those with sensitive skin. Gently massage your skin around eyes with the supporting crescent activation strip. Dip tthe activation strip to pick up the cream and apply it around the eye area, gently patting it in with your fingertips. 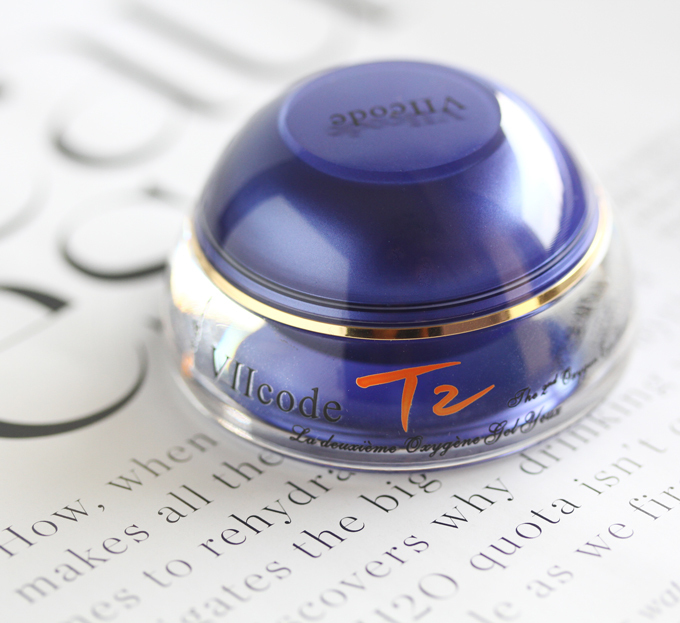 VIIcode T2 Oxygen Eye Cream is off white in appearance with a silky cream texture and a mild fragrance that I actually found to be pleasant. Since the product doesn't contain any added fragrance, I'm assuming the scent might come from the floral extracts used. I usually do a light massage of my eye area in the process of applying my eye cream so I did have to get used to doing it beforehand with the activation strip.After a week I went back to my usual routine as I found it a bit extra though I did continue to use activation strip as a means of getting the product of the jar. The cream absorbs readily without feeling heavy or greasy and it wears well under makeup. After using this eye cream twice a day for three weeks, I'm impressed with it. It hydrates and smooths well which I had expected but I also noticed that my entire eye area appears more plumped up and brightened which has exceeded my expectations. My skin didn't experience any reactions and it did not give me any milia. This is a really nice eye cream made with quality ingredients that delivers results. I do have to say I was a little disappointed by the amount of product you get. The small jar is 5ml size. The other downside is the jar packaging. If you're a regular reader then you know my thoughts on beauty products in jars. Not my favorite because I feel it degrades the efficacy of the product over time. It's also unhygienic, not to mention inconvenient. 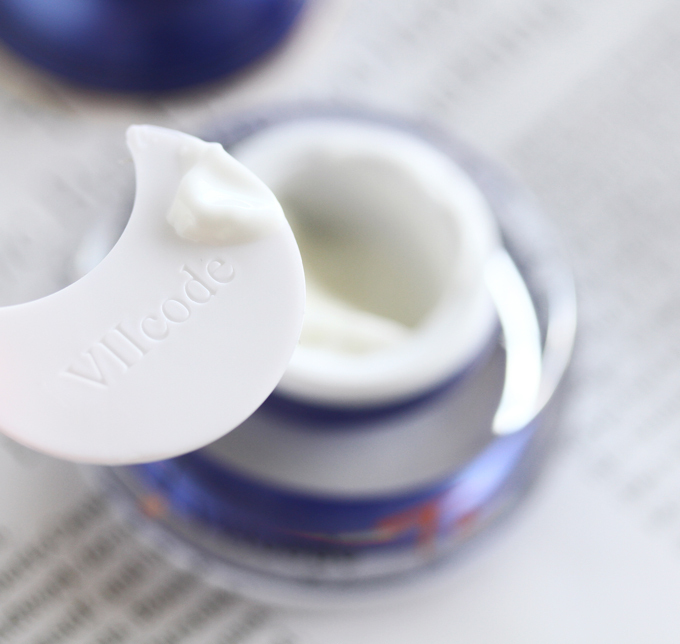 VIIcode recommends using this eye cream with the VIIcode O2M Oxygen Eye Mask for best results. 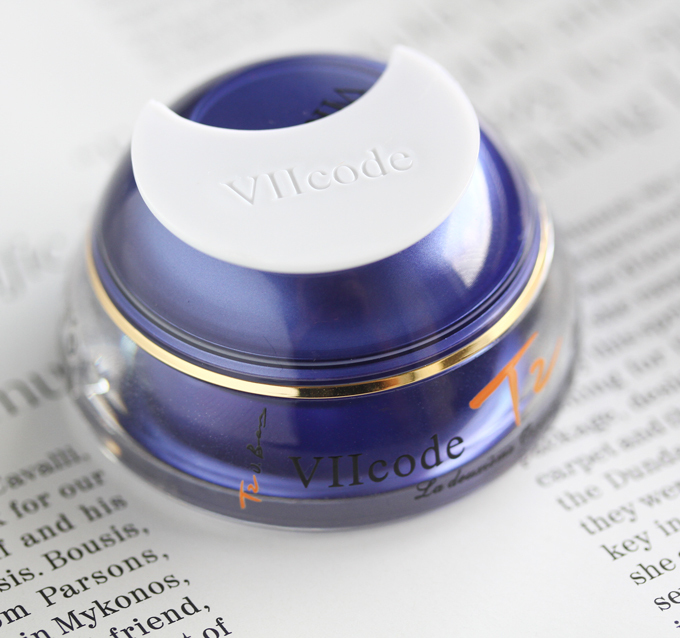 VIIcode T2 Oxygen Eye Cream can be purchased direct from VIIcode and from Amazon. VIIcode is giving rolala loves readers a site wide discount of $5 off with the code rolala through 8/20/18. You can learn more about the brand and their line of products from their website. Do you use eye cream? Any favorites? Disclosure: This post is sponsored by VIIcode and features complimentary products received for editorial consideration. All words and opinions are my own. It may contain affiliate or referral links. For more details about my product review policy, copyright, and information about affiliate links, please refer to the Policies page of this blog. I use eye creams my favorite still being the Instytutum Eye Cream. But I have heard about this one before and am curious to try even though, like you, I am not the biggest fan of jar packaging. I loved this so much but the only reason why I didn't repurchase was the price which is seriously steep. Is good that you saw result with your under eyes the product is worth trying I have to agree with your statement about the packaging. Thanks for the review. Such a detailed review Rowena, glad to know that this eye cream worked well for you. I'm using Clinique eye cream these days and loving it. I agree with the packaging issue, I always prefer tube packaging. But as it's effective product, I would like to try it atleast once. I love a good eye cream and that's been a staple product in the last few years. I swear it makes me feel like I get sleep when I haven't haha! It's good to hear that this is effective though yes, jars are a bit annoying over time! I have not used this particular eye cream, but I do use an eye cream. 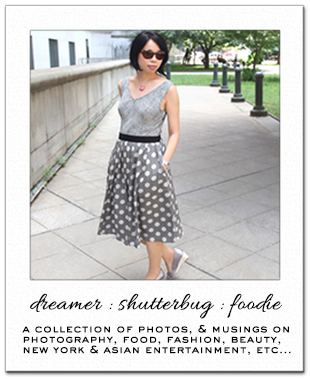 Recently, I've been using my coffee bean organic eye cream every day. Too bad about the packaging coz that blue jar is really beautiful! But good to hear the cream itself is great, Rowena:) Thanks for the heads up about this brand. This oxygen eye cream seems great. I really like that it is suitable for sensitive skin as well. It is lovely that it has a nice scent and is easy to apply. Shame about the jar packaging, but the ingredients make it sound very promising!!! The packing is fun and does sound excellent but yeah that is a rather small amount for the price tag, hmm. I need to try this eye cream! I haven't used too many eye creams, but after reading your reviews I want to try this brand! This one sounds nice! I think I should try it. The photos look attractive as well. I currently use Kiehl's avocado eye cream, I am happy with it but my 'into-makeup-self' wants to try something else. I am hearing of this brand for the first time. Sounds something i would try.